Twenty years after the International Conference on Population and Development (ICPD) held in Cairo in 1994, the United Nations prepares to report on achievements and setbacks in the implementation of the ICPD Programme of Action (PoA), drawing on the results from the ICPD Beyond 2014 review process. 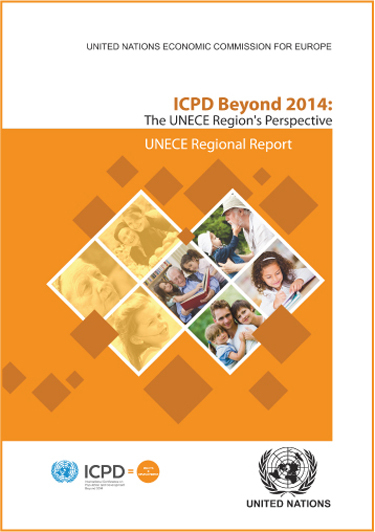 UNECE and UNFPA conducted the review in the UNECE region, which resulted in this report and the encouraging outcome of the ICPD Beyond 2014 High-level Regional Conference held in Geneva on 1–2 July 2013. The report examines the implementation of the provisions of the ICPD PoA across the region, based on survey results from 45 UNECE Member States complemented by relevant existing studies and data provided in country implementation profiles.